Veritas Choirs earn top ratings at the ACSI Vocal Large Ensemble Music Festival hosted in The Woodlands. 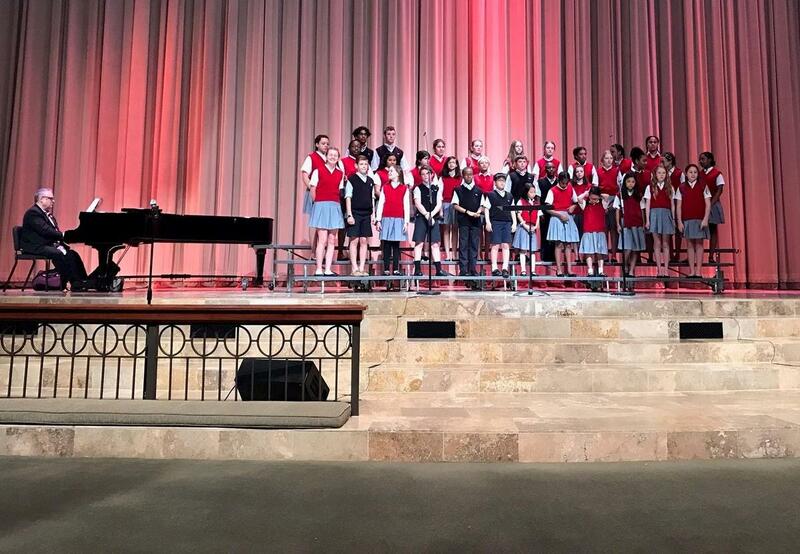 Both the Middle School and Lower School Choirs earned top ratings of Superior at this year's ACSI Vocal Large Ensemble Music Festival hosted at The Woodlands Methodist School in The Woodlands. 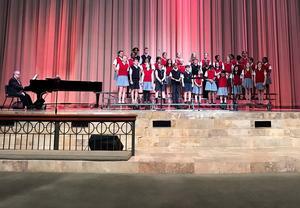 Lower School Choir is comprised of all Veritas Lower School students (1st-4th grades), and the Middle School Choir is comprised of middle school students who have chosen to take choir as their fine arts class.